The Industrial Revolution drastically changed man’s relationship with nature—and not for the better. Our modern life style is powered by fossil fuels—petroleum, coal and natural gas. The concentration of carbon dioxide in the atmosphere alone has increased about 40% since the beginning of the Industrial Revolution. Massive release of CO2 and other greenhouse gases such as methane are producing runaway climate change, with global temperatures projected to rise as much as 4.8℃ or more by the end of the century . Global warming is a primary cause of extreme climatic changes everywhere. It is said that Global warming will result in an extreme increase in high temperature, heat waves, and increase in heavy rain. In recent years, we have seen events such as powerful sand and dust storms in the Arabian Peninsula and North Africa, and these are signs that signal even more trouble on the horizon. Dust, itself contributes to global climate change. Desertification is another threat—not just in the Middle East and North Africa—but worldwide. In Brazil, for example, large parts of the Amazon rainforest may soon turn into desert, with drastically increasing deforestation. A rise in sea levels caused by global warming is becoming a serious issue. As the polar ice caps melt, it leads to thawing of glacier and tundra and rising ocean levels due to thermal expansion of the oceans. Polar bears moreover are on the verge of extinction. Some small island countries in the South Pacific are already affected by the rising seas, with developed areas sinking, as coastal outlines change shape. Venice is already at risk of being inundated by the end of the century due to the sea. Cars-The Problem or the Solution? Cars are one of the problems contributing to this global environmental imbalance due to their emissions. But they can also be a solution. Facing severe environmental problems such as global warming, it became necessary to create a new kind of car. As one of the pioneers of eco-technology, Toyota was quick to recognize the severity of the environmental challenges facing the world and decided to take up this challenge. The Prius project began in the early 1990s. In 1993, Toyota created G21, a project researching future generation cars for the 21st century. 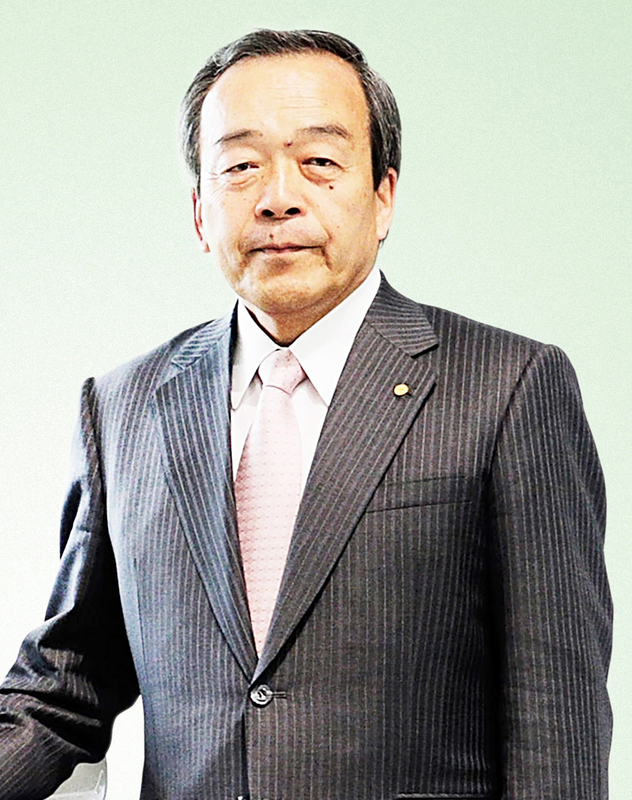 In January 1994, Takeshi Uchiyamada was appointed to head G21. He would later become chief engineer for the Prius. His first step was to set up a team with 10 engineers specializing in areas such as engine, chassis, body design and production technology. The activities of the G21 team were known only to a few and carried out on an executive office floor completely separate from the rest of the company. Rumors spread throughout the company about “a mysterious team working on a mysterious project”. 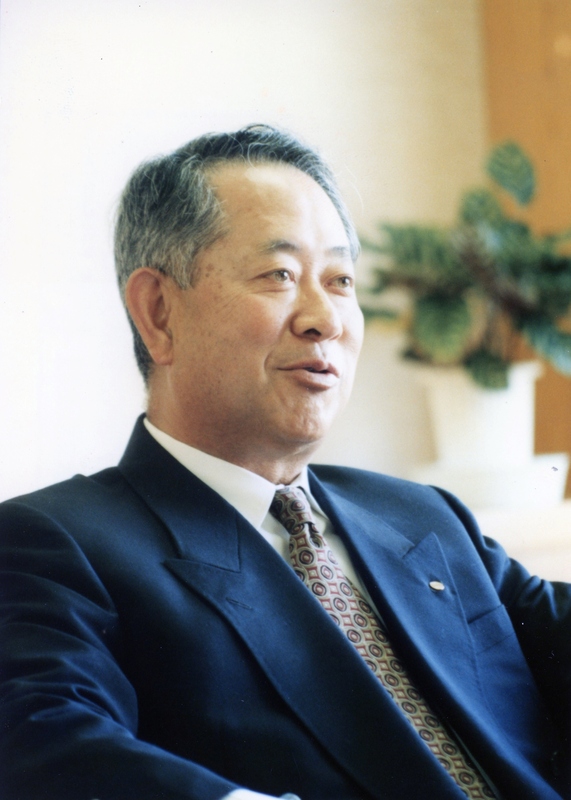 Later in 1994, Akihiro Wada became Executive Vice President for Research and Development and Chief Executive for the G21 Project. Mr. Uchiyamada had originally targeted an increase in fuel efficiency one and a half times better using direct fuel injection and a new transmission. Mr. Wada realized that this goal, ambitious as it might seem, was not enough. What was needed was double the fuel efficiency, and he insisted that the project would be cancelled immediately if this could not be achieved. For Mr. Uchiyamada and his team, that meant creating a totally new kind of technology—the hybrid power system. Of course, it wasn’t called a hybrid back then. When the concept car debuted in the fall of 1995, it was powered by something known as the TOYOTA Energy Management System—a dual motor system with an electric motor assisting a gasoline engine. Searching for a name for this car, Toyota decided on “Prius” which is the Latin adverb for “prior”—“coming before”, an appropriate choice since this was well before the environmental movement went mainstream. The technology was there. The design and engineering concepts were ready. The next step was manufacturing and marketing. The team set a target date just two years ahead—1997. The story was about to begin. 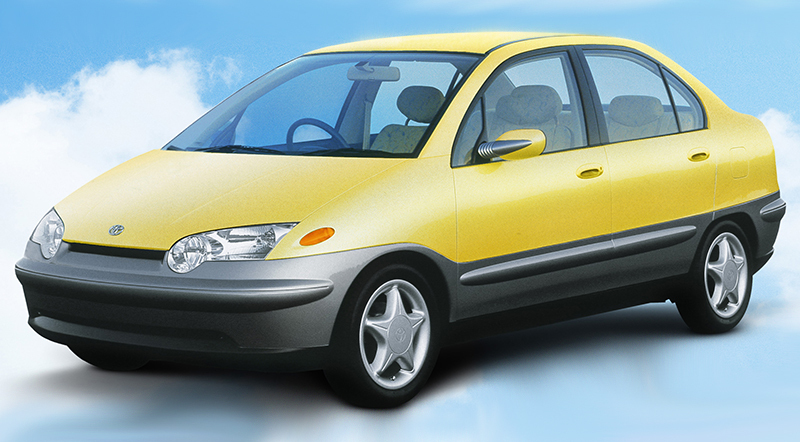 The Prius Concept Car introduced in 1995, with a capacitor to store electrical energy. In 1997 Toyota introduced the world’s first mass produced hybrid vehicle—the Prius—offering much better fuel economy than any other vehicle powered by a gasoline engine. Prius surprised the world. The idea of the Prius has caught on since then. In 2008, there were a million new Priuses on the road. By 2013, it was three million2, indicating that the new eco-technology had gone mainstream and was no longer just something for a few environmentally conscious progressives—but rather the best choice for just about everyone. 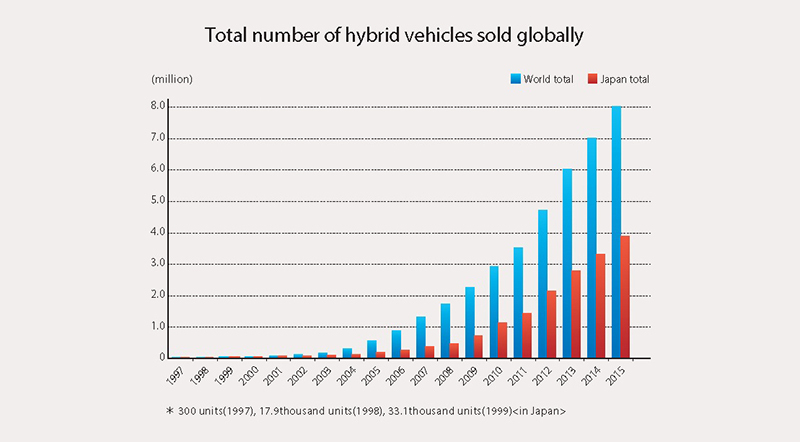 Hybrids are clearly becoming more and more popular. By July of 2015, Toyota had sold more than 8 million2 hybrids globally—which meant about 58 million tons less CO2 in the atmosphere . Whether it is North America, Europe and Asia, a new lifestyle is evolving globally and more people are signing on to buy the Prius hybrid.